I just love this cute little Tilda! ♥ The patterned paper is from Prima, and with a lot of testing and failing, I found a Copic-match that worked out with the colour of the paper. I've basically used the BG0000 with a light Toner gray and E40 for the shadows. I have used a sketch from Just Magnolia this time, and I also participate in the Copic "Favourite technique"-challenge this week. For et utrolig lekkert kort!! Kjempe lekre duse farger, og et nydelig fargelagt motiv! What a WONDERFUL blog, i LOVE your scrap, it is so sweet!!!! Så nydelige Magnolia-kort du har laget, Hanne! Imponerende hvor godt du har funnet riktig farge på kjolen i forhold til mønsterarket! Ønsker deg ei fortsatt god og kreativ helg! 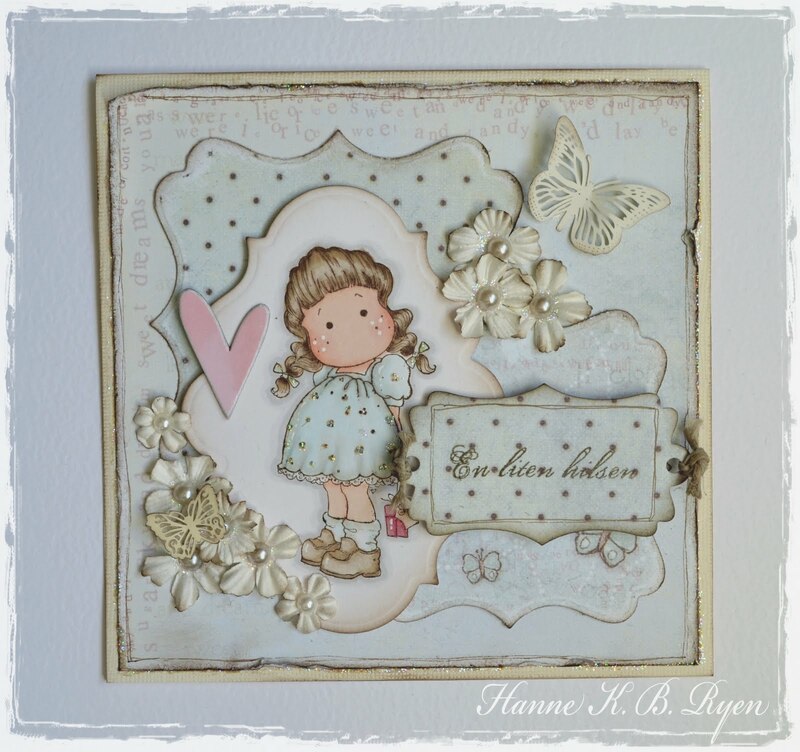 Adorable cute card, sweet image and pretty colours.